Posted on August 1, 2014, in Uncategorized and tagged camping, Children, holiday, Illustration, Life, Pen and Ink, Sketchbook. Bookmark the permalink. 4 Comments. Are ;you off camping again? 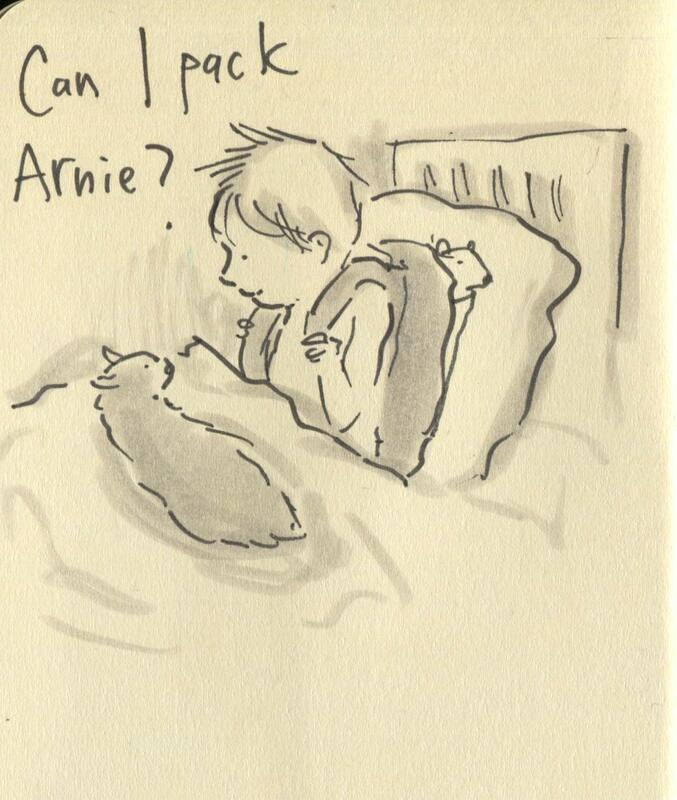 Sorry Gruff, Arnie has to stay at home and fluff up all the beds/ clean washing for when you get back! Have a lovely time, wherever it is that you’re packing up for. I don’t think Arnie would be happy in a backpack!